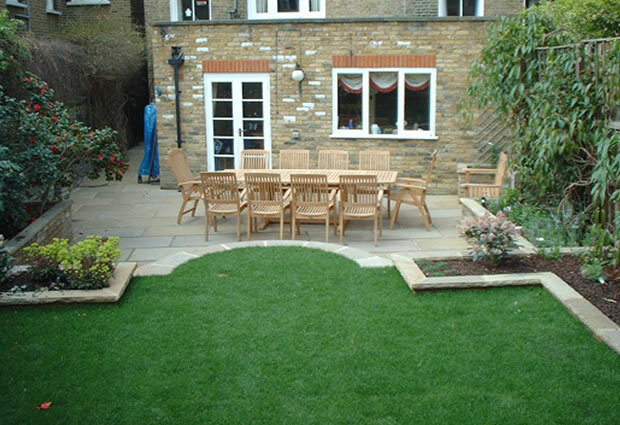 This garden Design in Wandsworth SW18 was one of my first garden designs in London. 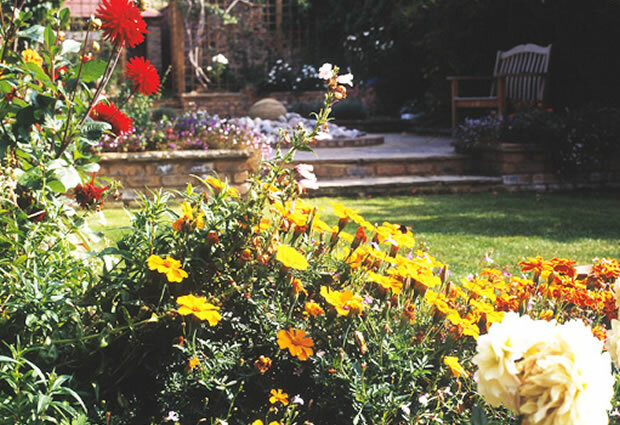 My client was so passionate about her garden that it made it one of the most fulfilling and joyful of experiences. Every garden design has a key, a theme, on which the garden design hangs. Very much like a riff in a song or melodic hook line. Finding and identifying this is the key I feel to creating a unique and original piece, and is as much part of the client as it is the designer. The idea can come from many different places and sometimes the least expected . 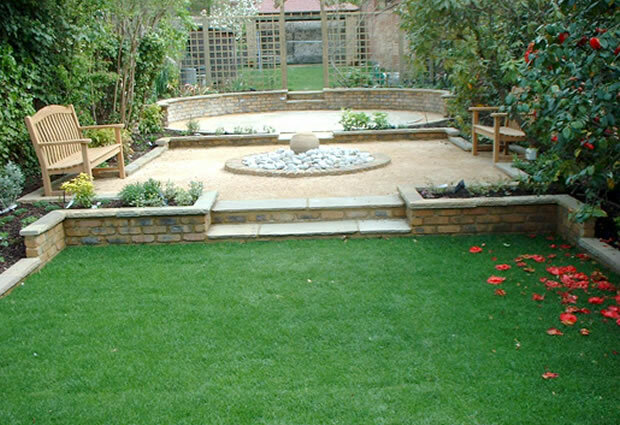 For this garden Design in Wandsworth SW18 it was my clients love of Art Deco and formal gardens. The inspiration of the large staircase is homage to Art Deco. I wanted to continue this circular formal geometric design throughout the garden through various themed elements. 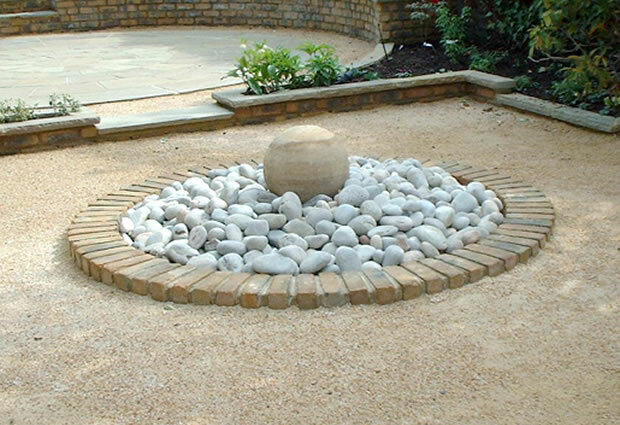 The first being the central water feature of sandstone orb set on Scottish Caledonian cobbles, within a brick on edge circle all emphasising the concentric theme. 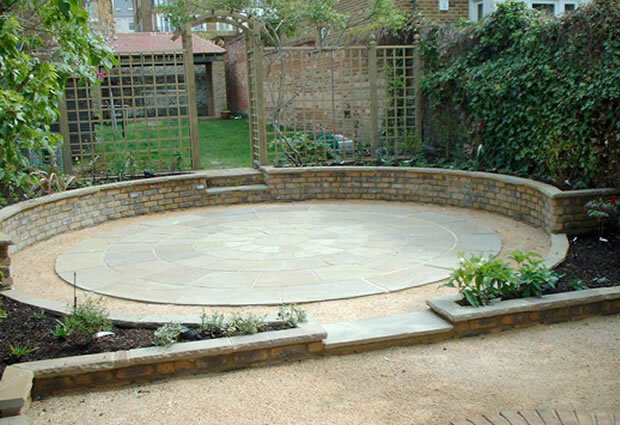 The secondary seating area set with the circular retaining brick walls with the circular riven Indian sandstone centrepiece. The garden is lightly terraced stepping through each area. The materials use of 2nd hand London stock, riven rustic sandstone riven coping for all brick walls endorses the formal statement. 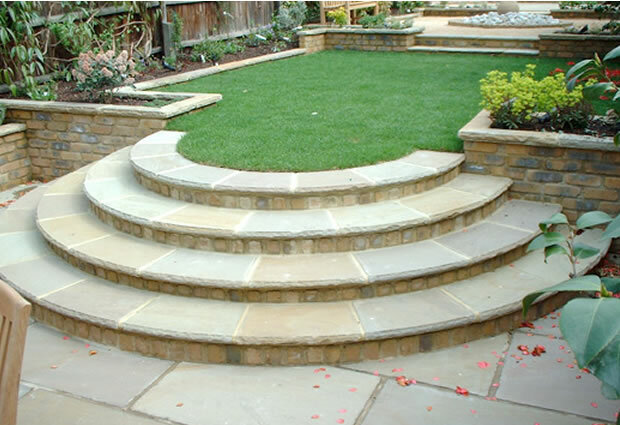 We designed the staircase and then had the stone bespoke cut to order. 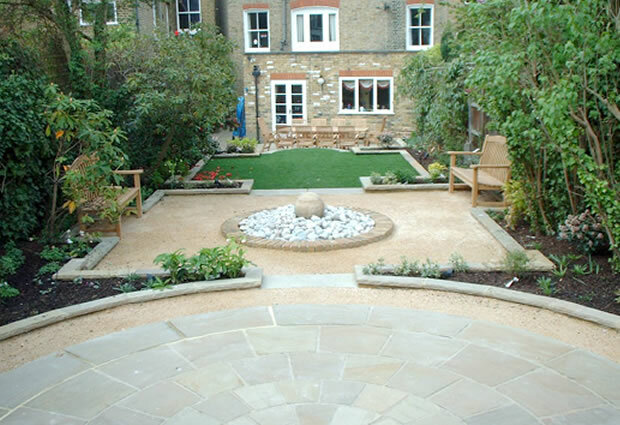 This garden Design in Wandsworth SW18 was a great experience and we really enjoyed the process from concept through to build stage and beyond.